It was quite the spectacle and set the stage for a wonderful evening of music. Of course, there was some mischief to be had as few of us sang “While Shepherds Washed Their Socks by Night.” I’m not sure if Dr. Draper ever knew about it. If he did, he must have turned a deaf ear and just chuckled to himself. That song, the real version, is not as familiar as some of the other carols. However, it is worth another look. The text was written by Nahum Tate and dates to around 1700. It has been set to many tunes, the first tune paired with it was written by George Kirbye in 1592. One interesting fact is that this song was the only Christmas song authorized by the Church of England in the 1700s to be included along with the Book of Common Prayer. The other Christmas songs of the times were set to tunes considered too secular. The tune most commonly used in the U.S. (and by my a cappella choir) was arranged by Lowell Mason from an aria by Handel and the tune is named Christmas. 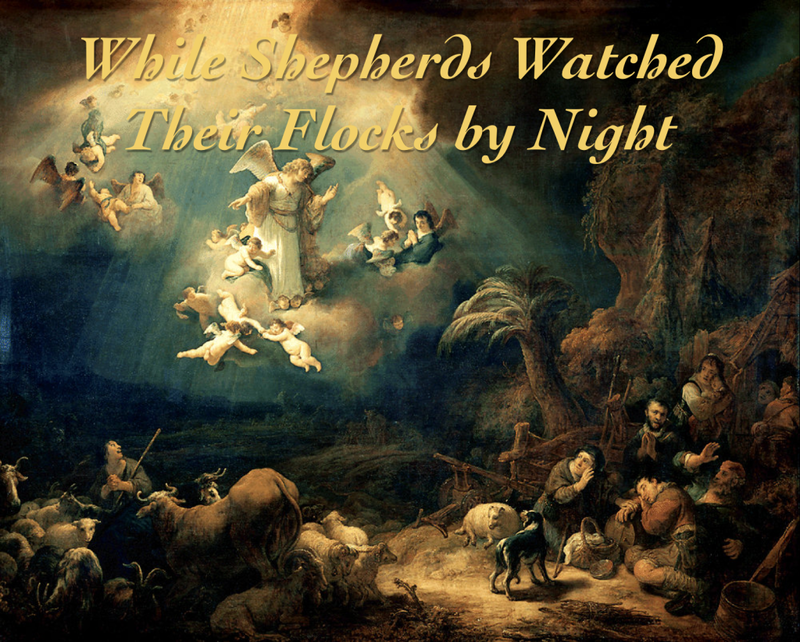 The song merely tells the story about the proclamation to the shepherds about the birth of the Christ child. It takes six verses to get it told! Fortunately, my LSU choir only repeated the first verse for the processional. It has puzzled me and others through the ages why God sent the angels to shepherds. But, why not?! He has reached down into my life and that of countless other commoners and I’m so glad He did. Here’s a version of the original tune sung by King’s Choir.